← John MacArthur’s Son-In-Law’s Alleged Compensation for Video Production and MacArthur’s Alleged Comments During a Meeting With Seminary Students. Dee and I have been keeping up with Tullian Tchividjian from the time he was chosen to succeed D. James Kennedy at Coral Ridge Presbyterian Church. Tchividjian was officially installed as senior pastor of Coral Ridge on May 10, 2009. Here is a series of posts we wrote back in the early days of our blog discussing the controversy regarding Tchividjian. We were greatly concerned about Tullian Tchividjian back then – we call it The Warburg Tingle – and we are deeply disappointed with how he has conducted himself in recent years, particularly in his personal life. Tchividjian resigned from the pastorate at Coral Ridge three years ago (June 21, 2015) after admitting to having an affair. He and his wife had been married for 11 years. It turns out he had multiple affairs. Then on August 11, 2015, Tchividjian was deposed by the South Florida Presbytery of the PCA, who ruled him “unfit for Christian ministry.” He has since divorced and remarried. In Tullian’s case, it was obvious to observers that for some time there has been an increasingly strident debate going on around the issue of sanctification. The differences were doctrinal and probably even more matters of pastoral practice and wisdom. Recently it became clear that the dispute was becoming increasingly sharp and divisive rather than moving toward greater unity. Tchividjian’s blog was then removed from TGC’s website. This is just some of the background information regarding Tullian. He is once again in the news because of his insistence that disgraced leaders should be forgiven and extended grace. 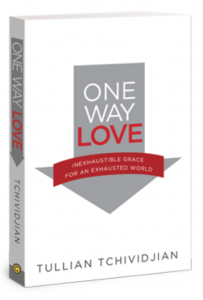 Tchivjian’s latest book reflects his position regarding grace – that it should be inexhaustible. We are left wondering whether he has ever asked for forgiveness from those whom he has hurt so that he can then be extended this kind of grace. To be clear, this Lutheran church where the Tchividjians worship belongs to a very small Lutheran denomination – definitely not Missouri-Synod. “The cross of Jesus shows us that God is serious about sin and we should therefore take sin seriously. But (and this is the part that often seems missing when scandal in church leadership happens) the cross also shows us that God is serious about redemption, restoration, and forgiving sins and we should take that seriously too,” Tchividjian, who resigned as pastor at Coral Ridge Presbyterian Church in 2015 after admitting to an extramarital affair, said in a blog post written with Chad Bird. Tchividjian and Bird, also a former pastor who committed adultery, clarified that the church should neither go soft on sin nor sweep it under the rug. But they emphasized that “real sin is also met with real forgiveness” and that pastors are sinners just like churchgoers are. “It is anti-Christian to remember people primarily by the scandalous things they’ve done. We love to whittle an entire life-story down to a single season. Then, with the authority invested in us by the state of self-righteousness, we proclaim, ‘This, and nothing else, is who you are,'” they argued. Please read the entire CP article to get the full gist of what Tullian Tchividjian and Chad Bird are promoting. Other Christian leaders have taken issue with what Tchividjian and Bird are contending, and they are challenging their positions regarding forgiveness and grace. Dee alerted me that some Lutheran leaders are speaking up and she is making sure they are getting quite a bit of press via Twitter. We sincerely hope that more Christian leaders, as well as Christian laymen (and laywomen), will voice their concerns regarding Tullian’s Tchividjian’s position on forgiveness and grace. We don’t want our brothers and sisters to be misled on these extremely important Biblical principles. Gotta rush off to school sports day now but will post proper comment later. I get that poor theology can lead to poor behavior, but this is seriously weak. Let me get this straight: you didn’t kick him off TGC because he was authoritarian, slept with his parishioners, cheated on his wife, and was a general dirt bag. You kicked him off because you disagreed about a theology word. I enjoy a good theological discussion, but disagreement about theology shouldn’t be more likely to end a relationship than finding out someone is a creep. 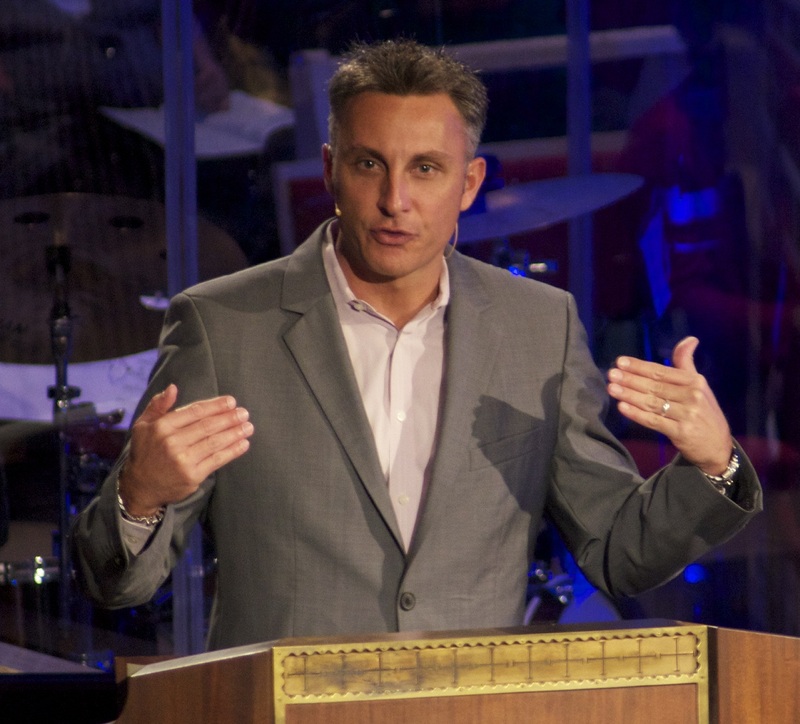 Tullian’s moral failings were revealed a year after he was booted from The Gospel Coalition website. But don’t worry, TT merely wants you to trust him with your soul. Sigh. Ok, makes sense. Guess I got the timeline wrong. Still seems a little lame to me, but I guess they have a right to police their doctrine however they want to. What a clown. I think he is putting this out there just to see if anyone will buy it. Weirdly, Liverpool are actually playing on Saturday this weekend (at home to Brighton). (Y)ou didn’t kick him off TGC because he was authoritarian, slept with his parishioners, cheated on his wife, and was a general dirt bag. You kicked him off because you disagreed about a theology word. I enjoy a good theological discussion, but disagreement about theology shouldn’t be more likely to end a relationship than finding out someone is a creep. Par for the course with TGC (and the YR&R in general) I’m afraid. Theology is all that matters. Eeyore: Par for the course with TGC (and the YR&R in general) I’m afraid. Theology is all that matters. TT’s theology is a disaster. It can be interpreted as giving him the leeway to do just about anything and then expect grace (as he understands grace) to be his all purpose pardon and restoration. Thank you for posting this. I was delighted that a Lutheran entered the fray to speak truth. Perhaps a test of the sincerity of TT’s professed views on how grace should work in the life of local congregations would be how ordinary people at CRPC were treated when they were found to have transgressed biblical standards. I have no information, but my intuition is that they were probably treated pretty strictly. One may forgive a transgressor in the sense of not demanding punishment or restitution, but that is not the same as ignoring what the transgression may reveal about the person’s character. Betrayed spouses know this all too well; renewed trust does not happen quickly. I don’t know how influential it has been, but I think that the implication in Ken Sande’s “Four Promises of Forgiveness” that those transgressed against should not take past transgressions into account in their future dealings with forgiven transgressors is deeply unwise. It’s an invitation to serial transgression. Very good points. Yes there is forgiveness for Tullian but especially with his history is disqualified from ever being a pastor. After all in Tullian’s case he had multiple affairs and only after being discovered did he confess. It wasn’t like Tullian came out and admitted what he did. Speaking of the number of affairs so far on Spiritual Sounding board Julie has been able to come up with 4. As the old saying goes that for every rat you trap you figure there were some that you didn’t trap. With Tullian one has to wonder just how many ACTUAL affairs he had. My guess is that there are more than 4. The other problem that Tullian need to deal with and I am not the only one to make this observation is Tullian appears to be narcissistic. Listening to his most recent messages and they were all about him. If he ever wanted to get back in the ministry he needs to find a way to deal with his narcissism. I would also add that if Tullian needs money maybe he should work a secular job to support himself rather than trying to make a living by speaking and selling books. I imagine with Tullian being “Christian royalty” being the grandson of Billy Graham he has never had to work a real job. I am sure if he had to work a real job that might produce some character. The other problem that Tullian need to deal with and I am not the only one to make this observation is Tullian appears to be narcissistic.Listening to his most recent messages and they were all about him.If he ever wanted to get back in the ministry he needs to find a way to deal with his narcissism. If you want in the end to be exalted high, you have to humble yourself low. What a Church it would be if the great majority of the people were attracted to that kind of leader. We seem to be heaping up to ourselves the wrong kinds of teachers. There have been many schisms in the Body of Christ down the centuries. Perhaps we are seeing a new kind of schism, one that is not based on theology, but on the character of the leadership. Perhaps the church is schism-ing into a cluster of groups that, while theologically diverse, resemble each other in that they value narcissism in their leaders and another, equally theologically divers,e cluster of groups that more nearly value Christ-like character in leadership. Re TT: Don’t Feed the Narcissist. Do not take the following literally. I have figured it out. It was, in retrospect, a mistake for TT to have been a pastor in ordained ministry in the first place. However, if he is again put into that same of position that will solve everything. Then repeating the negative by putting him back in ministry will turn out positively and all will be well. Surely everybody can see that. Do people get brain rot from too much time in church, or are they just born that way? It has become a concern in recent years that the scriptural qualifications for elder have in increasing measure been summarily disregard in certain 501c3 religious circles. Apostle Paul presented these qualifications to Jesus’ church for a strict reason. These were rules the eldership of Jesus’ church were to be governed by. Now today certain 501c3 religious professional individuals believe these rules for qualifications of elder can somehow be somehow diluted or even be blatantly disregarded . Those who still respect the means and the order of scripture simply don’t think so. The body of Christ is worth the extra mile both in scriptural application and the forgiveness extended to sinners. Grace yes, forgiveness, yes. elder reinstatement under these type of circumstances, no. Their future books must now be appproaced with caution as well. Yes, it boggles the mind but that has been my experience with the Reformed in my neck of the woods. It also depends on WHO you are. Such as Patterson is evil but CJ Mahaney is good. Mind boggling. I personally believe Tullians teaching since day 1, of cheap grace, was meant to provide him with cover knowing what everyone now knows. Sadly, his promoting cheap grace meant he had little “grace” for others such as his family or church. This is the sort of teaching that that throws victims under the bus, telling them to immediately forgive or they aren’t Christians and despises even basic justice…for some. I do have to wonder if the folks who teach this would rehire an embezzler? I stay out of these churches because I always end up as a wolf’s dinner! I don’t think we should be using the term “affair” to describe what Tullian Tchividjian did. It weakens for the victims the reality of what happened. These were not mere acts of sexual infidelity, they were clergy sexual misconduct with women he held a role of influence and authority as pastor, leader, speaker, writer, etc. Go back and read the accounts on TWW and Spiritual Sounding Board of the women he victimized to see ways he “weaponized” personal information he found out about them to seduce them. Look at the timeline post on Spiritual Sounding Board to see how there is evidence he was apparently working his wiles with multiple women *simultaneously*, with some in different stages: emotional/relational grooming, ongoing sexual infidelity, and dealing with his ex-wife while involved with his next wife — all while David C Cook publishers were pumping out his best-selling books. Does God have grace and mercy for sexual predators who are power and attention mongers? Should they be unconditionally re-entrusted with any role of spiritual influence, just because they claim “repentance” and that they are now “post-scandal”? It’s an odd — perhaps even heretical — theology that wants “forgiveness” to mean not only cleansing from sin, but automatic clean-up and removal of all consequences from sins. Extend grace and forgiveness to disgraced leaders? Yes, if they possess godly sorrow for what they’ve done and their walk demonstrates the fruit of repentance. Restore disgraced leaders to positions of leadership, or at least to positions of public visibility? That’s another matter altogether, although that hasn’t stopped some fallen leaders from restoring themselves anyway. Mark Driscoll, Jim Bakker and Jimmy Swaggart come to mind. To me, the fact that the Driscolls, Bakkers, Swaggarts, Tchividians, etc., even want to return to public ministry after their disgraceful and criminal behavior was exposed, indicates to me their total unsuitability for the role. You would think they’d just slink away and move on, the way a normal person would. But no, these losers seem to think they have a permanent right to be ‘pastors’ (I’m so sick of the over use and abuse of that word). My advice to TT (and the rest of ’em): GO AWAY! Try to work out some repentance and restitution the best you can, and stay out of the limelight. If you are really Christian. Tullian has no other cash cow in his life but being a pastor. He himself should be calling himself unfit for ministry. He proved time and time again he isn’t fit for the high calling of that role. He just wants back “in” to make the benjamins. Ask yourself, why can’t he just be the guy setting up chairs sunday morning? He has too high of an opinion of himself. As a p.s., “Disgraced” is not the same as “disqualified.” The former can be redeemed, while reversal of the latter cannot be guaranteed. May I humbly suggest that Tullian has not, in any way, shape or form, ‘died to sin’? What does this reveal about his supposed relationship with God? A sham, I’m afraid. Lydia: I personally believe Tullians teaching since day 1, of cheap grace, was meant to provide him with cover knowing what everyone now knows. To me, it’s also over theologizing. We all KNOW that cheating on your wife is wrong. It hurts her, your kids, you community, and you. Plus, it’s super creepy when you are a “spiritual leader.” We don’t need to reinvent the wheel with any of these things. So many of these counterintuitive theologies are just wrong whether we can articulate why or not. I personally believe Tullians teaching since day 1, of cheap grace, was meant to provide him with cover knowing what everyone now knows. Sadly, his promoting cheap grace meant he had little “grace” for others such as his family or church.This is the sort of teaching that that throws victims under the bus, telling them to immediately forgive or they aren’t Christians and despises even basic justice…for some. Yeah, I don’t buy his arguments for grace at all because he certainly doesn’t seem to extend it to those he has been so vocal in criticizing for not giving him what he wants. He’s just a selfish man-toddler who wants everything easily and with no consequences for his actions no matter how much those actions hurt anyone else. I wish I knew how we could return to a culture that believes there are consequences for our actions. Maybe it never existed, I don’t know. Or at least more childhood/teen/pastoral tests for disorders like NPD. Flawed theology IMO rarely is the cause of sin. More often, I suspect, the bad ideas and bad behavior share a common root in evil desires. The flawed teaching serves an agenda that is expressed in the behavior. And sound theology may not restrain evil behavior that proceeds from evil desires. This is not to denigrate sound theology, only to not regard its absence to be the root of the problem or its presence a guarantee of rescue. I was going to say actor with all the adulation and easy access to women and money. Samuel Conner: Flawed theology IMO rarely is the cause of sin. More often, I suspect, the bad ideas and bad behavior share a common root in evil desires. The flawed teaching serves an agenda that is expressed in the behavior. In other words, people create theology to let them do and get whatever they want most? Well yeah. But If you say “sorry” in a real sincere way and those mean victims aren’t buying then they are obviously unchristian. Sigh. What if your theology teaches that you can’t help it? If you can’t help it, how can you be responsible? you are a perpetual sinner saved by grace which means you can’t help but perpetually sin so you need heaps of new grace daily! Not just from your Savior but all the people in your life? After being around this black hole for a long time now, I am convinced the over theologizing on what is sin is the root problem. It’s all wrapped up with bits of dualism from Greek philosophy. I started to focus on “good/evil” or “right/wrong” to help clear the cobwebs. Yelling at your kids one day is not the same as cheating on your wife. But, hey, it’s all sin! We are all sinners! Man-toddler. I am stealing that! Lol. ishy: In other words, people create theology to let them do and get whatever they want most? Or to be prepared to justify or defend themselves after the fact. Everyone has a private, functional theology (often not explicitly articulated). How closely does this private/functional theology conform to the Scriptures? How does it come about? What values does it serve (“I want to please my Creator” versus “I want to please myself?”, for example)? Rather, I suspect that the self-protection and self-justification agenda is at work in the background and shapes the way one consciously interprets the Scriptures. It forms part of the bias that one brings to the text. That’s an hypothesis, admittedly. But there is certainly more going on in our minds than we are consciously aware of. A functional conscience is going to warn you when the Scriptures are “hitting home”, and that can be an uncomfortable feeling. If can be comforting to build a theology that protects oneself from the Scriptures. Of course, if the conscience is not functional (as in “sociopathy”) perhaps this process doesn’t need to be background; it can be foreground, conscious and intentional since one is not troubled by what one is thinking and doing. The protective orientation is then not inward, but outward, to protect oneself from the Scripture-informed consciences of others. A prior commenter noted the desirability of testing for narcissism. I think we need accurate tests for functional conscience and empathy too. I’m sure it’s coming. Doubtless the churches will adopt these screens only after the secular world does (a scary thought, since that would for a while increase the number of conscienceless people seeking church office, not being able to find employment in secular supervisory roles). This is very hypothetical, of course. Looks like the heat’s blown over and Tee Tee’s hitting the Comeback Trail. And you DO know the Koine Greek word for “Actor”, don’t you? ishy: He’s just a selfish man-toddler who wants everything easily and with no consequences for his actions no matter how much those actions hurt anyone else. Steve240: I would also add that if Tullian needs money maybe he should work a secular job to support himself rather than trying to make a living by speaking and selling books. And No 24/7 Praise and Adoration. Someday the masks will all be removed. Samuel Conner: I don’t know how influential it has been, but I think that the implication in Ken Sande’s “Four Promises of Forgiveness” that those transgressed against should not take past transgressions into account in their future dealings with forgiven transgressors is deeply unwise. It’s an invitation to serial transgression. Public figures develop public reputations. It’s kind of anti-Christian to become a prominent ministry figure and then prominently give unbelievers grounds to blaspheme YHWH. When David ben Jesse did that, it was foretold to him that the sword would not depart from his house, and it didn’t. The fear of YHWH is the beginning of wisdom. Jim Bakker wrote a book entitled I was Wrong. It is thick but an excellent read. I recommend it to anyone. Only in Reformed La La Land, where doctrine matters more than how you treat others. Apparently God can overlook adultery and abuse, but he never forgives having the wrong working definition of sanctification. brad/futuristguy: Does God have grace and mercy for sexual predators who are power and attention mongers? Only, let their voices never be heard in public again. Let them demonstrate their repentance by spending the rest of their lives quietly serving God and others, rather than ever seeking the chance to get back in the limelight – and the moneymaking game. Pretty dang close. Then back it up with bit and pieces of scripture yanked out of context and cobbled together to create something that was never there. Lydia: What if your theology teaches that you can’t help it? If you can’t help it, how can you be responsible? you are a perpetual sinner saved by grace which means you can’t help but perpetually sin so you need heaps of new grace daily! Not just from your Savior but all the people in your life? After being around this black hole for a long time now, I am convinced the over theologizing on what is sin is the root problem. It’s all wrapped up with bits of dualism from Greek philosophy. I started to focus on “good/evil” or “right/wrong” to help clear the cobwebs. Yelling at your kids one day is not the same as cheating on your wife. But, hey, it’s all sin! We are all sinners! I’ll go one further. Cheating on your wife due to succumbing to an unintended but unresisted temptation is not the same as deliberately selecting, grooming and using countless women to secretly meet your personal sexual pleasure behind your wife’s and everyone elses’ backs. Both are sin, and both should land you outside of the ministry. But the former could be ‘forgiven’; the latter should lead to your being on permanent ‘watch’, however prettily you apologize. Samuel Conner: Public figures develop public reputations. I’m not sure forgiveness is what Tullian is really after, either. It’s a return to being a public figure with cushy book deals and easy pastor jobs. TS00: But the former could be ‘forgiven’; the latter should lead to your being on permanent ‘watch’, however prettily you apologize. Samuel Conner: The fear of YHWH is the beginning of wisdom. It’s increasingly clear that many celebrity preachers have no fear of God … and, thus, no wisdom. Hmmmm … I wonder if Tullian ever heard of the “Billy Graham Rule”? I know there are many who will view our welcoming Tullian and his family, with joy. I am also aware that there may be others who will view it with disdain (which is very sad to me). And there will, and should, be many others who will view it with neither joy nor disdain. I’ve heard of the book but have never read it. Perhaps I will someday. Even with Jim Bakker’s admission of erroneous teaching, I still wish he wasn’t preaching and selling survival gear. I know the man’s got to make a living, but he should have found another line of work. I was far more impressed with Richard Dortch, a former PTL Club official who also spent time in federal prison for his role in the scandal. He spoke at a nearby church a few years after his release and expressed genuine contrition and sorrow for his actions. TS00: Only, let their voices never be heard in public again. Let them demonstrate their repentance by spending the rest of their lives quietly serving God and others, rather than ever seeking the chance to get back in the limelight – and the moneymaking game. Yes! This is the key! We know it will never happen, but he should never preach, teach or write a book again. He’s a whiny, little, manipulating brat that wants his way…and we’re just a big bunch of narrow-minded, unforgiving meanies when we don’t play along with him! As Max already stated, Tullian was a PASTOR when all these affairs happened. He has disqualified himself, whether we ‘extend grace’ to him or not! Why can’t pastors seem to understand that people need to see a sermon rather than hear one? Tullian has ridden on his grandfather’s coat tails long enough—he needs to shut up and realize that sin has consequences. I refer to Tullian and many others in the New Calvinist movement as the grace-grace-grace boys. They believe in a hyper form of grace, which is cheap grace on steriods – a grace that covers past, current and future sins … holy living and repentance not necessary. He should have been more hyper about praying for grace to keep his pants on. Moral of the story: never trust a “pastor” with an over-the-top tan, who unbuttons his shirt down to his navel and wears skinny pants. What was Coral Ridge thinking?! all he needs to pastor or sell books in a free market are followers. Without them, it all goes away. Lydia: all he needs to pastor or sell books in a free market are followers. Without them, it all goes away. May he awake to a goodly inheritance in Olam Ha-Ba. TS00: Only in Reformed La La Land, where doctrine matters more than how you treat others. no no no. that’s too easy. chair straightening is what the men took 45 minutes to do while the women cleaned the bathrooms and the kitchen. but, boy, were those chairs straight! brad/futuristguy: I don’t think we should be using the term “affair” to describe what Tullian Tchividjian did. It weakens for the victims the reality of what happened. These were not mere acts of sexual infidelity, they were clergy sexual misconduct with women he held a role of influence and authority as pastor, leader, speaker, writer, etc. This is a very good point about Tullian. Calling what Tullian did an “affair” is quite an understatement. If nothing else Tullian used his position as Sr. Pastor to sexually harass women in the church he was Sr. Pastor of. Samuel Conner: There have been many schisms in the Body of Christ down the centuries. Perhaps we are seeing a new kind of schism, one that is not based on theology, but on the character of the leadership. Perhaps the church is schism-ing into a cluster of groups that, while theologically diverse, resemble each other in that they value narcissism in their leaders and another, equally theologically divers,e cluster of groups that more nearly value Christ-like character in leadership. My take on this is that too many people “value narcissism in their leaders” all while not realizing what it is that they value. There also is not enough awareness of what narcissism is and for people to recognize this in people including leaders. Thus perhaps without realizing that this trait exists in leaders they are attracted to they support leaders like this. Hopefully there will be more education so that people will be aware of what to look for. Also was interesting one denomination is starting to test prospective pastors to see where they are on the narcissistic scale. Also many times there is an “inner circle” that knows about a leaders narcissism or at least their hypocrisy and shields it from regular members. Thus regular members for at least a period of time don’t really know what the leader is really like but only the persona this leader puts on when on stage. Thus regular members are deceived about some leaders. From what I have read most cult leaders are narcissistic. It also wouldn’t surprise me if a significant number of mega church leaders who develop what some call “personality cults” are at least high on the narcissistic index. Headless Unicorn Guy: Steve240: I would also add that if Tullian needs money maybe he should work a secular job to support himself rather than trying to make a living by speaking and selling books. If you look on Tullian’s Facebook page you will see all sorts of evidences of that where Tullian seems to want attention. Tullian should as one person wrote just drop out and fade into the woodwork but Tullian’s narcissism won’t allow for that. This isn’t a fair comment. Tullian was kicked off of TGC before anyone knew he was having affairs. Dee notes that above. It was written before she noted it, and I acknowledge that it appears to not define circumstances as suggested. I’m afraid it does fit much of my experience from over a decade in the Reformed world. You can sin in thought, word and deed all day long, and find grace – but if you do not support the orthodoxy, you are likely to end up on church discipline. Both comments are on point! That article I’ve seen before (maybe from you), and I’ve found it very helpful. I completely agree with you on sin. It’s funny, there are lots of Christian words like “forgiveness” or “sin” that seem to have lost their meaning. It is really similar to some of the social justice words like “toxic masculinity.” People use these terms for so many different things that they kind of loose their meaning and we need to be more specific with how we describe problems. The theology thing is weird. Some people are wonderful people in spite of what I consider a screwy theology. Others clearly embody their weird theology and become deeply flawed people. I jumped into Calvinism after a series of family tragedies, and now I’m finally leaving that church. I’ve been reflecting on how most of the people there don’t actually live out the screwy theology but are actually nice folks. I’ve been torn apart by it, and I think it’s because, in my struggles, I actually took them seriously and tried to live out what they said. I think that healthy people can contextualize some of these things, but damaged people end up trying to enact the whole program no matter what it costs. I’m just glad I woke up when I did and didn’t hurt those around me. Sorry for your experience. I would affirm that few, if any, in my Calvinist church lived out, if they even understood, the theology. On the one hand, it could be argued that we don’t need to worry so much about Calvinism, since few Calvinists really believe in it. 😉 On the other hand, as you suggest, anyone who seeks to genuinely live it out is in for some real heartache, despair and, often, a complete rejection of God. MP was praying that JM may inherit the resurrection of the righteous in the Age to Come. I noticed that, too! And I saw many youth eventually become athiests. Even a rabid YRR pastor. Totally walked away. It’s interesting to read the trajectory of the NE Puritan descendants. Many became Universalist or transcendentalists. I’m figuring Tullian has not been refuses a seat in the pew along with everyone else so he evidently expects more. His ponderous sense of entitlement is sufficient reason to keep him away from the podium. TS00: I would affirm that few, if any, in my Calvinist church lived out, if they even understood, the theology. A couple of people have mentioned that it might be really good for Tullian to work a regular job. Has he ever had a regular job? What job could he get? From the looks of his biceps, he could probably be a trainer in a gym. So many of these guys really have no experience or marketable skills. But I think all of these T4G guys could really benefit from having a female boss in a non-church [secular] office who doesn’t take any nonsense, isn’t impressed with their celebrity, and gives them job assignments without wondering if she is assaulting their delicate manhood by being so assertive and exercising authority over them. Then they could do an Undercover Boss scenario. I’m not sure who would get anything good, though. So, Liverpool ground out a home win over Brighton yesterday, with Mo Salah scoring the only goal. It was not a vintage performance by the Reds – arguably, that was down to Brighton’s organisation and work ethic – but more importantly, we were dropping points in games like that last season. The win puts us top with three wins from three though, as Jurgen Klopp pointed out, you don’t actually get anything from being top three games into a 38-game season. I think we’re basically saying the same thing with different vocabulary, but one might add, and a pain-free return to exactly the lifestyle they were living before. It seems that what Mr Tchvidjian is really claiming is not that he and those like him are unconditionally entitled to forgiveness, but that they are unconditionally entitled to a particular lifestyle. I guess if you hold to hyper-grace, you can convince yourself as a pastor that multiple-affairs are covered. Apparently, that’s the way he reads “U” in the TULIP acronym for doctrines of grace. It is my understanding that Tim Keller and Don Carson at TGC were concerned that Tullian was endorsing antinomianism in his TGC blog. Well, I’m not a fan of Keller, Carson or TGC, but they certainly appeared to have that right! Tullian, as demonstrated by his ministry lifestyle, came across as being released by “grace” from the obligation of observing moral standards for righteous living in a manner befitting of a Gospel preacher. I have long been concerned that many in the New Calvinist movement are antinomian in belief and practice – potty-mouth Driscoll certainly was a poster child for hyper-grace; Hybels apparently thought this way as well. Truth is they are all antinomians to a certain extent. Especially toward other leaders until they get too uppity like both Driscoll and Tullian did with TGC. It fits the total depravity doctrine they embrace whether they realize it or not. (Note how they always trot it out to excuse the worst but never to defend the innocent who dare push back). I could never understand how they could purposely ignore a lot of Matthew but most of 1st John, as a few examples. Believers still have “laws” so to speak, such as don’t cheat on your wife, don’t lie/deceive, etc, which are part of loving God and others. Jesus accused the Pharisees (of all people! ), of being “antinomians”, for crying out loud! Lydia: they are all antinomians to a certain extent … It fits the total depravity doctrine they embrace whether they realize it or not. Samuel Conner: MP was praying that JM may inherit the resurrection of the righteous in the Age to Come. Yes I was. Jewish ‘heaven’ is not predicated on absolute perfection (Greek Platonism) as is the ‘heaven’ fundagelicals believe in. i.e. The ORIGINAL Christian afterlife, before its de facto replacement with Fluffy Cloud Heaven. I could never understand how they could purposely ignore a lot of Matthew but most of 1st John, as a few examples. Believers still have “laws” so to speak, such as don’t cheat on your wife, don’t lie/deceive, etc,which are part of loving God and others. Jesus accused the Pharisees (of all people! ), of being “antinomians”, for crying out loud! “sin” as being “representational blasphemy” — action (visible in behavior or invisible in thought and desire) that communicates or implies things that are not true about God. This view of things perhaps increases one’s view of the gravity of sin — it is more than angering God by defying Him through breaking a rule, it is actually misrepresenting “who God is” in the sight of all creation. The more traditional way of thinking about sin, as simply “lawbreaking”, can one into trouble on certain understandings of Christian release from the bonds of law, and into worse trouble if one combines that with a view of “grace” that does not keep as its central focus God’s ultimate intention of conforming His people to the likeness of Jesus. In specific application to the case of TT, one could say that since God is not a covenant breaker, so we image-bearers should honor our marriage covenants (and other promises). TT doesn’t seem to have much awareness of the gravity of his deeds. The case of David ben Jesse and the way his misdeeds gave the gentiles grounds to blaspheme YHWH again comes to mind. I suspect that YHWH was compelled to severely chastise DbJ in order to publicly vindicate His Name. Public figures commit notorious sin at great peril. It’s said near the end of their lives, Karl Marx said “I am not a Marxist” and Charles Darwin “I am not a Darwinist”. Something about fanboys taking what they’d done and seeing how far (and how far-fetched) they could run with it. Agreed, that’s what should happen when it comes to post-greed. Seems to me that the core qualifications for roles of public input and influence are based on consistency of character and service, as evidenced by everyday discipleship and living out the “one anothers” of the New Testament. Secondarily, spiritual gifts and developed skill in using them to advance the Kingdom and not self. Sadly, we’ve allowed spiritual giftedness instead of character to be the primary criterion for service. So, when someone who’s been in roles of public note engage in patterns of DISqualifying sins — not just disgraceful — they can still always engage in the same everyday disciplines of one-anothering and service open to all who follow Christ. TS00: You can sin in thought, word and deed all day long, and find grace – but if you do not support the orthodoxy, you are likely to end up on church discipline. How does that differ from any Totalitarian Ideological regime? Steve240: Also many times there is an “inner circle” that knows about a leaders narcissism or at least their hypocrisy and shields it from regular members. An Inner Ring of Courtiers and Court Favorites who themselves personally benefit from the arrangement. Their own positions, rank, and wealth dependent on those of Dear Leader; if he falls, they fall with him. And That Cannot Be Allowed to Happen. Samuel Conner: This view of things perhaps increases one’s view of the gravity of sin — it is more than angering God by defying Him through breaking a rule, it is actually misrepresenting “who God is” in the sight of all creation. According to my Jewish sources, THAT was the original meaning of the Commandment about “Taking God’s Name In Vain” — doing evil and claiming God’s sanction as justification. Convenient how it’s been redefined to mean cussing and cussing alone, Eh, My Dear Wormwood? As well as pushing you into a Lawyer-esque search for Loopholes. (“But everything we did was LEGAL!” … “I did not know that woman in a Biblical sense.”) And if you can’t find an existing Loophole to do What I Wanna, you’ll MAKE a new one! IIRC (and please correct, amend and/or amplify this thought as needed) from old NT background survey reading, there was in the early post-NT era a flavor of Gnosticism that posited an absolute matter/spirit dualism in which the only thing that mattered was what happened in the spirit realm and anything that embodied beings did in the material realm was of no real significance. This sounds a bit like the end-state Max is fore-seeing. Lydia: I noticed that, too! And I saw many youth eventually become athiests. Even a rabid YRR pastor. Totally walked away. It’s interesting to read the trajectory of the NE Puritan descendants. Many became Universalist or transcendentalists. One example would be Matt Slick’s (Slick is a well known calvinist apologist in reformed circles) own daughter who converted to atheism. Another example, but in the other direction, would be a talk-show-radio-guy here in Southern Cal. who brags about how he used to be a new age practitioner, and who is now completely ‘on fire for the Lord’. I’m thinking that personality types who have to be either/or, are naturally bent toward extremes; and that they also crave linearized boxes, no curves, straight lines only. = taking God’s name in vain. If you do something in vain, you do not succeed in achieving what you intend. Tullian claimed to represent Heaven, but lived like Hell (one might wink at one affair, but multiple affairs?!). As a “pastor”, he bore God’s name in vain and did not succeed in achieving what he intended in Christian ministry. He’s still trying to wiggle back into Christian leadership by shaming those who won’t extend grace and forgiveness to disgraced leaders. He just doesn’t get it. Max: Apparently, that’s the way he reads “U” in the TULIP acronym for doctrines of grace. I suppose an argument could be made that certain corners of the new reformation could be called Neo-Gnostic Calvinism. As the elect, hyper-grace prevails and God loves them no matter what they do … which if played out to its logical end produces antinomian lawlessness. All of this is, of course, stinkin’ thinkin’- more philosophy than Christianity. Headless Unicorn Guy: An Inner Ring of Courtiers and Court Favorites who themselves personally benefit from the arrangement. Their own positions, rank, and wealth dependent on those of Dear Leader; if he falls, they fall with him. And That Cannot Be Allowed to Happen. I’m sorry, are we describing the church or the world? Ah, yes, makes little difference. Max: = taking God’s name in vain. …He just doesn’t get it. That is IMO a very gracious interpretation of the data. Conceivably something more troubling is at work. There are multiple examples in current and recent news of other people who seem to have designed their ministries around an agenda of creating opportunities to engage in ‘extracurricular’ activities …. one might call this ” ‘ministry’ with ‘benefits’ “. The goal from the beginning may not have been “God’s glory” or “the good of God’s people”, but something entirely more self-oriented. One earnestly hopes that in TT’s case, he simply “doesn’t get it”, and that someday he will. Headless Unicorn Guy: According to my Jewish sources, THAT was the original meaning of the Commandment about “Taking God’s Name In Vain” — doing evil and claiming God’s sanction as justification. Convenient how it’s been redefined to mean cussing and cussing alone, Eh, My Dear Wormwood? Glad to hear this. Came to this belief myself, as I saw how self-righteous hypocrites prided themselves on not using ‘vulgar’ language – all while treating people like disposable goods. The same people who get up in arms if someone says G*dd*mn, worship a God who tells helpless millions to ‘G* t* h*ll’ without so much as a blink of an eye. It is my opinion that many other concepts have been similarly corrupted into legalistic pettiness. I regard that as a good thing, at least insofar as it means they’ll fully embrace gay marriage. The downside, though, is that this acceptance won’t be effective until a prominent, rich, famous bookseller comes out as gay, to a standing ovation from a crowd of lackeys who throw themselves at his feet and weep over his tremendous bravery in coming out. And, of course, it won’t extend to victims of bullying or abuse from the evangelical clergy class. Tullian will find followers. If Driscoll can, Tullian with his Billy Graham pedigree for sure will. This means he will be assured a tax free payday. At one time you could say churches helped society to justify a tax exemption. Our city is replete with hospitals started by churches. However except for some parachurch organizations like Salvation Army, I don’t see a lot of that happening. What I see is people and organizations that take from a society that they ostensibly despise. A society that ironically has strived to better itself in line with the teachings of christianities founder. Our track record may be mixed but an example is the civil rights movement of the sixties. Christians need to stop supporting these clowns. Otherwise the long game will be a society that rejects the church (and Jesus with it). I used to be a firm believer and I’m gone. I suppose you could say “good riddance” but how likely is it my kids will be Christian, and their kids? Now put that in the context of declining church attendance. Sure in our lifetime the church will be around in some way. With a billion followers worldwide it’s got a ways to go. But what will that look like 100 years from now? In north America Quebec & Newfoundland ( former Catholic provinces) are pitching religion. So’s Ireland. Northern Europe is more secular. I’m inclined to agree here. Max – I realise what you meant, but technically, I think Mr Tchvidjian does get it, very well. He knows how gullible the religious market is; he knows there are thousands who are desperate to worship someone just like him; he knows exactly how to tap into that desire and become the object of their worship. He will live and die in luxury. Jack: This means he will be assured a tax free payday. Our comments passed in the mail, Jack! I’m shocked, shocked that you would doubt that these serial abusers are sincere men of God. Surely their barns overflow due to their integrity, not merely because they are swine. I have read that “deep ventilation” is good for one’s health. I good deep belly laugh does the job. Thank you for today’s belly-laugh, though perhaps it says something troubling about me that I am more inclined to laugh than weep over this. I think that the news coming out of the churches is somewhat corrosive to the soul. Perhaps best to look away from it for a while. Jack: Otherwise the long game will be a society that rejects the church (and Jesus with it). Guess what Satan’s game plan is? And what these dupes never realize, until it is too late, is that he is an equal opportunity abuser. He has no more loyalty to them than the rest of mankind, whom he hates. The way I envision it, God is going to expose each and every one of these self-serving frauds, and their ‘institutions’ of organized crime. Just when the enemy thinks he is succeeding, by destroying ‘The Church’, the true, humble servants of God, that have been quietly washing feet all along, will be given their proper places at the head of the table. Oh yeah, he definitely “gets” marketing in the Christian industrial complex. He just doesn’t get what it means to surrender yourself to ministry – to represent God in a lost world. Jack: I suppose you could say “good riddance” but how likely is it my kids will be Christian, and their kids? I know, I’m a heretic; but is this supposed to be a bad thing? If you, and I, and our kids are decent, respectful people who seek to do what is right as best we can figure it and offer a helping hand to others along the way – I don’t really care what we are called. If this isn’t what being a ‘christian’ is all about, who wants to be one? Can’t we just be ‘human’? So many Christians (like my in-laws) just get mad about this and tell about “postmodernism” (even though they don’t know what that actually means). Seems like a response with a chance of working would be asking why and actually listening to the answers you hear. TS00: I know, I’m a heretic; but is this supposed to be a bad thing? Emphatically, no! I’m a heretic and I love it. I find it interesting to look at someone like [Tullian] Tchvidjian and his attempts to return to claiming Christian ministry while living exactly as he’s always lived. I am, in a sense, the inverse of that: I no longer have any desire to claim any allegiance to the christian myth and I want – as best I can – to wind the clock back over 30 years and become the best version I can be of the young man who was sucked into that that terrible philosophy as an undergraduate student. I don’t want to be famous, or write books, or speak to an audience; I do want to find some way of making things better for those in the UK who are unwaged and can’t find work. This is because I am arrogant and presumptuous, as my evangelical colleagues tell me. But that’s great. It’s an affirmation of who I am, because the more I reflect on this, the more I realise that they have always hated who I am! I’m with Ricco here; the best conversations really are with those that are labelled heretics. In the meantime, I went to church today and like a breath of fresh air, our pastor made clear we will be all about helping people and evangelizing, not following the powers that be’s latest reboot. We shared material goods with each other and with those with a need. We prayed for several recent horrific happenings in our town and came up with some concrete ways to prevent them in the future, and plans to work toward it. Folks in our church have served those with needs in many ways this week, and we took some concrete steps to help some more. The gospel was preached–the bad news that God alone decides what is sin and what is not, and the punishment or consequences eternally of that sin. God alone also can supply the remedy and how that can happen was also preached. There are pockets, but the church is still in business, souls are still being saved, lives mended, shut in’s visited, hungry fed, injured tended, folks educated, and the Great Commission being obeyed. The church is still the church, and will survive. I am really tired of people who continually confuse forgiveness and trust (I’m thinking purposefully confuse in most cases). While it can be argued that we owe others forgiveness because Jesus forgave us so much, nowhere in scripture, at least that I know of, are we told that we have to trust anyone besides God Himself. Trust is earned! my husband is in one of his ‘quarterly’ (few times a year) funks — bored, depressed, all seems meaningless. it comes down to work, of course. no thrill. interest is in waning mode (sometimes it’s in wax mode, though) he’s frustrated. it colors everything else. now nothing in is life is good. it’ll pass, but….sigh. men, does this happen to you, too, from time to time? can you help me understand? what can their partner do to help? Yes, it happens to me. Surely it happens to women, too? For me, the best thing that a partner can do is gently show concern/recognition, be there, but let it play out – not pushing too hard. With me, it’s sort of like the weather – it comes, and I know perfectly well that it will pass. What’s helpful for me is when my partner just keeps the routine going, and doesn’t throw me any tricky emotional curve balls. I do the same for her. It’s not always easy to know how much concern to express, how much to probe. I make it clear that I’m here for her and totally on her side. I just try to make things a bit easier and smoother and less surprising for her when she’s experiencing turbulent weather. In my opinion/experience, when someone is going through a patch like this, the last thing they need is surprises and fresh ‘domestic crises’ or drama of any kind. It will pass, as you have experienced. What if your theology teaches that you can’t help it? If you can’t help it, how can you be responsible?you are a perpetual sinner saved by grace which means you can’t help but perpetually sin so you need heaps of new grace daily! Not just from your Savior but all the people in your life?After being around this black hole for a long time now, I am convinced the over theologizing on what is sin is the root problem. It’s all wrapped up with bits of dualism from Greek philosophy. I started to focus on “good/evil” or “right/wrong” to help clear the cobwebs. Yelling at your kids one day is not the same as cheating on your wife. But, hey, it’s all sin! We are all sinners! AMEN. This is the key. The Catholics have somewhat of a sense of it with their distinctions between “mortal” sin vs. “venial” sin. (1 John 5:16 If any man see his brother sin a sin which is not unto death, he shall ask, and he shall give him life for them that sin not unto death. There is a sin unto death: I do not say that he shall pray for it. All sins are clearly not equal. Not to God, and they shouldn’t be equal to us. People who break the commandments can (obviously) be forgiven with deep and genuine repentance…but these sins are grievous and should be recognized as such. Preachers get fired for smoking but not for adultery? Pssh. Well, there’s a guy Up Here who did some very bad things (that’s if you call things like filling a city from end to end with innocent blood “bad”). His name literally means “forgive and forget”. And likely just a handful of people over the last 2700 years or so remembered he also did some good things. And this guy is one of the humblest around here (indeed, the ONLY person in the whole bamn Dible (pardon my French, kids) said to have humbled himself GREATLY, and he agrees with God remembering the bad. No, Mr T and his friend are mistaken. That sure is an interesting ploy for Tullian and those who seem to admire him. Similar to what Fred Rogers said if you read the Bible it sure seems like they focus at least as much on the bad certain leaders did vs. just the good. Thus interesting for someone to write that God only remembers the good. One other thought on Tullian is that it really wouldn’t surprise me if he ends up falling again just like with Jimmy Swaggart. With Tullian showing such little if any concern for what he did to his victims and his not dealing with his narcissism I imagine it is just a matter of time I hate to say. Time will tell. Another story like David. God forgives the king, restores the king to the throne, but the consequences do not go away. Somebody needs to preach that more in Hypergraceville. Steve240: With Tullian showing such little if any concern for what he did to his victims and his not dealing with his narcissism I imagine it is just a matter of time I hate to say. Time will tell. Whenever anyone whines on about how much they deserve to be forgiven, when they were the wrongdoer, I feel the same. I can imagine even now, that TT is in the beginning stages of text conversations with other women…old habits die hard. I know this is off topic, but my baby seems to be on the way home after a year in the Iraqi desert. He sent a message with picture of a bunch of soldiers who seem to be strapped in around the walls of a huge!! cargo plane with stuff in the central cargo area, and everybody grinning to beat all. “Out of Iraq and in Kuwait.” We have camps in Kuwait that seem to be people management and transportation centers. Young son spent a year at one of them a few years back. So, look out Ft Hood, here they come. Just thinking, but perhaps being strapped into a cargo plane and being shipped out for a year in the ‘real’ desert might help TT. I mean, if Manasseh was helped by prison, and David was helped by public humiliation and the stern words of the prophet-surely TT would benefit from some real ‘hard times’ as opposed to just ‘sniff, sniff, you all need to be nice to me’. TT is being doofusoid; he seems to have no idea how to be a real man and live with his own consequences. Babies whine for their mamas. The church is not TT’s mama. Yayyyyy! I hope your baby is winging his way straight to your arms. And yes, actual proper work & service would be a huge lesson to these whining ‘leaders’. Not sure that this will help (and your specific situation may not accommodate this), but I have found working outside (gardening, weeding, tending living things) to be wonderful therapy. You create some beauty (or, in my case, ameliorate the chaos) and after a while get something useful out of it, food or flowers; attract butterflies and hummingbirds; minister to the pollinators that are under stress). I think there is even significant medical research that this is beneficial. And it gets one moving, which is always good. We are made of bone and muscle and are intended to move and interact with our environment. okrapod: consequences do not go away. Somebody needs to preach that more in Hypergraceville. If a fallen pastor is truly repentant as evidenced by a godly sorrow in his life, I believe the church should restore him to fellowship, but not to leadership. We have too many examples in the American church of men who have committed gross sin, who disappear for a season to be counseled, and then return to the pulpit. IMO, restoring the disqualified to pastor again is an act of disobedience by the church. There are no examples in the New Testament of pastors who have fallen morally being restored to the pulpit. Headless Unicorn Guy: Steve240: Also many times there is an “inner circle” that knows about a leaders narcissism or at least their hypocrisy and shields it from regular members. Unfortunately that many times can be the case IMO. The “lieutenants” many times only have their jobs and make the income they make due to the success of this charismatic leader. If this leader falls then they risk losing their job and associated income. Thus it becomes in their best interest to conceal or at least explain away hypocrisy and character issues with this leader. I am sure people like Tullian exist and can do what they can and have done by people enabling him. The same for C.J. Mahaney and other narcissistic leaders. Tullian, if you are listening in … your crystal cathedral has collapsed; man-up and get over it. thank you, roebuck. good words. Samuel Conner: Not sure that this will help (and your specific situation may not accommodate this), but I have found working outside (gardening, weeding, tending living things) to be wonderful therapy. You create some beauty (or, in my case, ameliorate the chaos) and after a while get something useful out of it, food or flowers; attract butterflies and hummingbirds; minister to the pollinators that are under stress). I think there is even significant medical research that this is beneficial. And it gets one moving, which is always good. We are made of bone and muscle and are intended to move and interact with our environment. My approach exactly! When traumatized, stressed and needing to heal, I find that doing small tasks of stewardship for dependent living objects such as plants, bees, etc. gives me a sense of purpose and hope. Also, creating beauty, whether it is through art, music, creating a floral arrangement or simply organizing the garage can be very restorative. Some days, watering and pulling weeds is literally all that I have the emotional energy to do. The stresses of life can so enervate us that we are temporarily unable to function. We must give ourselves, and others, the time and opportunity to seek healing and restoration when necessary. I would encourage all who find themselves depressed or overwhelmed to allow themselves to slow down and focus on ‘unimportant’ things for a time, or learn how to make it a habitual part of life. I am slowly emerging from an extended period of doing just that, after an extremely traumatic and stressful time. I believe that we must allow ourselves the time to heal, so that we can be once again enabled to give to others and be once again productive. At one time I was in a state denominational position that worked with fallen ministers with the goal of helping them find grace and restoration in their faith and with their family. As to whether this ever led them back to active ministry was a question that was up to them, their walk with God, and mostly . . . trust. Grace is God’s unmerited love, but trust is man’s response to the fallen. Thus, all ministers experienced grace, but few were ever granted the trust to return to ministry. As for TT, I offer and pray that he experiences grace. As for trust in him as a minister, not there yet, if ever . . .
thank you, Samuel. yes, working with one’s hands, outside, soil, dirt, living things… good suggestion. To disqualify this guy from ministry is like chasing the money changers out of the temple of God in my view. I think someone else likened this to God cleaning house. This guy is no repentant sinner since he wants to rub everyone else’s nose in his sin, and the fact that he married one of the women he had an affair with tells me how little respect he has for his ex wife and kids as well his former congregation and church. Remarriage to an affair partner can cause a lot of problems for everyone involved especially the ex-spouse and kids. Lily Rose: Remarriage to an affair partner can cause a lot of problems for everyone involved especially the ex-spouse and kids. Especially when the NEXT affair partner comes along. Jack: Tullian will find followers. If Driscoll can, Tullian with his Billy Graham pedigree for sure will. The term is “Highborn of House Graham”. One of my siblings who is a much better gardener than I am (gets a significant portion of her family’s vegetables out of the back-yard in Summer; a goal I gaze at longingly) told me that she thinks people are meant to be gardeners. She’s not a believer and is not AFAIK familiar with the Genesis 2 story. But I suspect that she is right. There is something deeply satisfying about bringing order to chaos. Perhaps that’s part of the imago Dei. Muff Potter: One example would be Matt Slick’s (Slick is a well known calvinist apologist in reformed circles) own daughter who converted to atheism. Fundamentalism is a state of mind that can glom onto anything to be Fundamentalist about. LINUS: No… I guess I’ll be a Wishy-Washy Fanatic. Samuel Conner: IIRC (and please correct, amend and/or amplify this thought as needed) from old NT background survey reading, there was in the early post-NT era a flavor of Gnosticism that posited an absolute matter/spirit dualism in which the only thing that mattered was what happened in the spirit realm and anything that embodied beings did in the material realm was of no real significance. This sounds a bit like the end-state Max is fore-seeing. Cross-contamination with Platonic Dualism — the overarching theme of Christian Monist’s book Butterflies in the Belfry, Serpents in the Cellar. Make sure he stays well hydrated. I have at times unwisely “pushed through” weariness and symptoms that should have alerted me to dehydration; it can feel like “quitting” to take a needed break when you’re making good progress at a disagreeable ask. Perhaps have “oral rehydration salts” on hand; these are more potent than the commercial prepared “electrolyte replacement” beverages and much cheaper if you are going to need many liters over a long job. OTOH, the package says to take under medical supervision. That alarms me and I dilute to a strength similar to that of the commercial beverages to avoid trouble. TS00: I would encourage all who find themselves depressed or overwhelmed to allow themselves to slow down and focus on ‘unimportant’ things for a time, or learn how to make it a habitual part of life. I’m afraid it does fit much of my experience from over a decade in the Reformed world. You can sin in thought, word and deed all day long, and find grace – but if you do not support the orthodoxy, you are likely to end up on church discipline. That’s interesting. From my experience in the Reformed world, it’s the sins like adultery that bring on the church discipline. Robert: That’s interesting. From my experience in the Reformed world, it’s the sins like adultery that bring on the church discipline. And even then, only for the Lowborn. Samuel Conner: There is something deeply satisfying about bringing order to chaos. Perhaps that’s part of the imago Dei. I used to not understand, but that was because I was under the oppression of an authoritarian worldview. Now, I believe that the essence of our godlikeness is the ability to create. That is what thinking, individuality and choice are granted us to do – provide the tools to shape the materials God has given us into unique creations. Whether it is ourselves, our families, our yards or actual works of art, every time we create ‘order’ from chaos we have demonstrated that we are made in the image of the Creator God. There may be a bifurcation of practice in traditional Reformed versus the new-calvinists and the reformed baptists. A significant difference in my perception is that the traditional Reformed have serious church courts with real appeal recourse and the “discipline” process seems generally oriented toward restraint of actual sin as opposed to suppressing dissent. “Reformed baptists” seem to have much less accountability above the level of the local congregation. That gives the laity very little recourse if they are punished or otherwise treated unjustly; in a traditional Reformed denomination there would be a right of appeal to a Presbytery level church court, and even all the way to the denominational General Assembly if one felt unjustly treated by the Presbytery. I recall one apparently legitimate case among the many – and there were many for such a small church. Most were for charges like non attendance, refusal to take correction, deficiency in doctrine, etc. People were always asking, ‘What is the deal with ‘church discipline’ around here?’ Elderly widows were sincerely afraid of being disciplined; one was my mother. I finally realized that it was a tool used to frighten people into keeping their mouths shut and not making any waves. Shameful. I once thought it was a unique situation with a one-off controlling, narcissistic pastor; but many on these pages have had similar experiences. TS00: Elderly widows were sincerely afraid of being disciplined; one was my mother. I finally realized that it was a tool used to frighten people into keeping their mouths shut and not making any waves. Shameful. I’ve had at least three New Cals tell me I should be disciplined simply for not being married. I didn’t even go to church with them. My experience was with a traditional, Presbyterian church. Only one case, which involved an elder, had the connections and courage to pursue it and have the charges dropped. Most simply leave, confused, scared, traumatized and wondering what in the world just happened to them. They are also told that other local churches will be warned not to accept them as members. Bullies masquerading as shepherds. When I stopped attending, I got ‘the letter’ requesting my formal explanation to the elders. I laughed, and told them maybe I would send them a copy of my book someday. My experience was with a traditional, Presbyterian church. Did a quick Google search for Presbyterian churches in 9Marks. There’s quite a few. 9Marks is deadly focused on church disciplining members. So I don’t think you can cleanly separated “Reformed” and “New Calvinist” in terms of church discipline. I wonder whether it might be that being excluded from communion with these groups on account of one’s conscience is actually a badge of honor and something that is praiseworthy in God’s sight. Blessed are they who are spoken evil of on account of their loyalty to Jesus. ishy: Did a quick Google search for Presbyterian churches in 9Marks. There’s quite a few. 9Marks is deadly focused on church disciplining members. Tullian is even celebrating on his Facebook page his current marriage to the woman he had an affair with. Just unreal. Steve240: Tullian is even celebrating on his Facebook page his current marriage to the woman he had an affair with.Just unreal. The guy is a serial adulterer so I am guessing his current wife will someday be reading about her replacement on Facebook as well. Or maybe Tullian will be the one replaced. Then he will be crying about the wrong done to HIM. Unfortunately, he won’t learn from it. Narcissist all the way!!! Steve240: Tullian is even celebrating on his Facebook page his current marriage to the woman he had an affair with. Just unreal. Hyper-grace allowed Tullian to be a repeat offender. This is a great comment. Thank you! I may quote you in the future. TS00: When I stopped attending, I got ‘the letter’ requesting my formal explanation to the elders. I laughed, and told them maybe I would send them a copy of my book someday. It depends on how you define “fundamentalist”. Clearly there are certain things in Scripture that, for Christian believers, are “black and white” (fundamental) while there are other areas that are either gray or not directly addressed. For the former, having a “fundamentalist view” would be appropriate, while for the latter, using Biblical principles to make an informed individual decision (understanding that others may not see it that way) would be the way to go. Where folks go wrong, in my view (be they fundamentalist or some othet persuadion), is when they become fanatical and controlling regarding the gray (or not addressed) areas. TS00: TS00, When I stopped attending, I got ‘the letter’ requesting my formal explanation to the elders. I laughed, and told them maybe I would send them a copy of my book someday. I have stopped laughing. I choked on my bacon! Could you please tell me the type of church it was? Reformed, Reformed SBC, SBC, PCA. Any ties to 9 Marks?Also, did you tell them this in an email? Do you know if they put you in church discipline even though you left? I love to learn about these things. It is my experience over the last 9 1/2 years that in fact people who have authoritarian tendencies and even abusive natures, tend to gravitate toward churches in which the pastor has control. It is also my experience that many churches, including those with spelled our churches order, can be reluctant to take on the complaints, and I mean valid complaints, agains ta pastor or leader. I can point out traditional Reformed churches that have not responded well. Sadly, I believe this is human nature. Far to many people want to be *in charge* even if it is for a small church and a small group of people. Admirals in rowboatsare in every church group. dee: I may quote you in the future. Please feel free to do so. Anything we can collectively do to curb the proliferation of Hyper-Grace in the organized church would be a good thing. An emerging generation of grace-grace-grace boys within New Calvinism is a particular concern of mine. There are more Tullians lurking in their midst. They are the kind who worm their way into homes and gain control over gullible women, who are loaded down with sins and are swayed by all kinds of evil desires, 7always learning but never able to come to a knowledge of the truth. The “always learning”sure sounds like Tillian. ishy: Yeah, the praises I hear heaped on church discipline in New Cal churches is almost always from men, usually leaders. i.e. Those Who Get To Hold The Whip. If you tell me where to email you the information, I would be happy to share more details. For my family’s sake, many who remain within the denomination, I prefer to not share all publicly. dee: It is my experience over the last 9 1/2 years that in fact people who have authoritarian tendencies and even abusive natures, tend to gravitate toward churches in which the pastor has control. It is also my experience that many churches, including those with spelled our churches order, can be reluctant to take on the complaints, and I mean valid complaints, agains ta pastor or leader. I also believe that much of this religious narcissism, and perhaps all narcissism, arises from insecurity. A deeply insecure pastor, with controlling, perfectionist tendencies, convinces deeply insecure men that they are the ‘called ones’, anointed to ‘lead’ (by which he means rule over authoritatively) in their homes and in their churches. These mousy men, never part of the ‘in crowd’, all of a sudden become Lord and Master of their universes – for the first time in their lives. The pastor, like all successful narcissists, can persuade these men to do anything he wants, all while making them think it is completely their own idea. They are convinced that they model the only ‘True’ and ‘safe’ method of church leadership, via the much-vaunted ‘plurality of elders’. This phrase must be repeated weekly to reinforce the programming. But ‘plurality of elders’ doesn’t mean squat, when the elders are completely brainwashed and mind-controlled by an authoritarian pastor. I recall well the day I read, here on this blog, (several years ago) someone’s statement that they truly believed their elders were so brainwashed that they would murder the congregation if the pastor recommended it. I caught my breath. I had used that exact expression to a close friend. I was not alone. Maybe this was not all in my head. Spiritual abuse was maybe, just maybe, not the sinful result of my ‘rebellious refusal to submit to my God-given authorities’. Finding that others had experienced the same sort of mind-boggling nightmare that I was in gave me the courage to take the seemingly impossible steps to rescue myself and my immediate family from this toxic situation. And begin the process of healing, and reevaluating everything I believed about everything. Really, not such a bad idea, once you feel you are in a safe space. TS00: These mousy men, never part of the ‘in crowd’, all of a sudden become Lord and Master of their universes – for the first time in their lives. Type example: Womb Tomb Swanson. Always struck me as a “high school dork” who became Alpha Male (by Divine Right) and just HAS to throw his weight around HARD. TS00: I recall well the day I read, here on this blog, (several years ago) someone’s statement that they truly believed their elders were so brainwashed that they would murder the congregation if the pastor recommended it. And didn’t Jack(?) Hyles order his elders to drink a glass of “poison” as a Loyalty Test? Yep. Secretly jealous that they would never get chosen as a rockstar celebrity pastor, many of these scrawny underachievers find their ‘Alpha’ selves in the conservative, fundamental church. They appear to thrive on the power and praise of being looked to for all the answers from some small group of people. I mean, just take a look at photos of ARBCA leaders, and other Reformed groups – most wouldn’t be mistaken for former high school jocks. I’m not trying to be unkind; this seems to be a real factor in the type of people being drawn into these cults. My Calvie pastor used to scorn the ‘pretty people’ who would never come, or stay long, to his church. I kinda thought maybe I should be a little insulted? TS00: Secretly jealous that they would never get chosen as a rockstar celebrity pastor, many of these scrawny underachievers find their ‘Alpha’ selves in the conservative, fundamental church. Me: But the shepherding of God’s flock is. The closing comments by Pastor Joshua Scheer, Senior Pastor of Our Savior Lutheran Church in Cheyenne, Wyoming are especially interesting to me as he trolled on Facebook under a pseudonym of “Walt Longmire” of the book and television series. When I confronted his actual Facebook account with the screenshot proof of this, the account disappeared within 12 hours. It seems that even those who can formulate a Lutheran response can also be unwilling to hear those words when they are most needed. Some folks just need to keep their mouth shut, rather than opening it to reveal their ignorance. Soooo … Tullian is essentially saying “Behave badly and the grace of God will cover you.” This is Hyper-Grace at its worst. Tullian as a purported preacher of the Gospel should know this. Of course, he filters everything through “Calvinism = Gospel” which distorts the meaning of grace. I guess I don’t understand what happened here. Can you explain it to me? They kicked him off a full year before the affairs were made public, according to the article. I wonder what Uncle Franklin’s thoughts are on the matter? Or Aunt Anne? I hope behind the scenes his family is trying to counsel him.